"One more dip! One more dip!" After a debaucherous night out, some New Yorkers plan to sleep in for a good chunk of New Years Day. They'll roll out of bed at ten or eleven, and have brunch somewhere right down the street. We start at 6:30 AM sharp with a workout! Then after some coffee and conversation, we make our way to Coney Island for a second workout and, finally, a group dip into the Atlantic. The polar plunge. We're cold, tired, and probably still a bit inebriated. But it's these obstacles that make the event so fun (and Rise-y). Look out for the event on Meetup when it comes around! If you see the infamous Katie O, ask her how the Rise polar plunge got started! 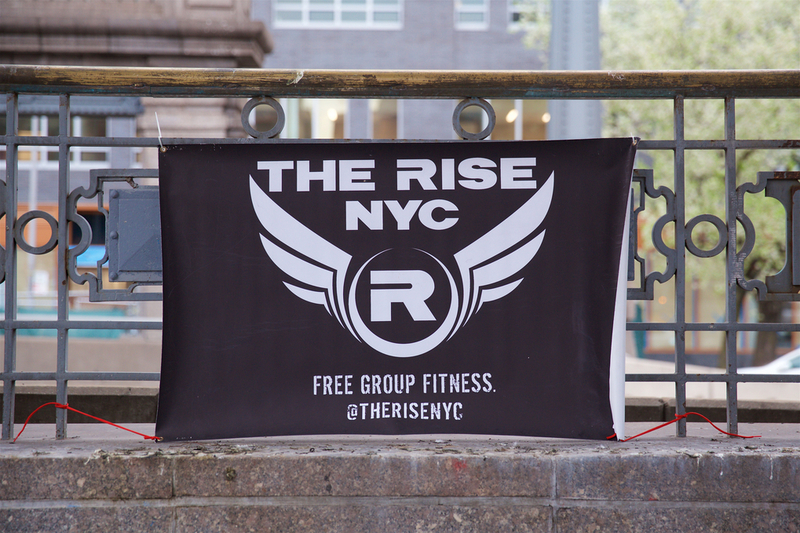 you recognize that The Rise NYC is not a sponsor or official organizer of this event; it is an activity on public land carried out by some of The Rise NYC's members, all of whom recognize the aforementioned risks, as part of a New Year's Day tradition.